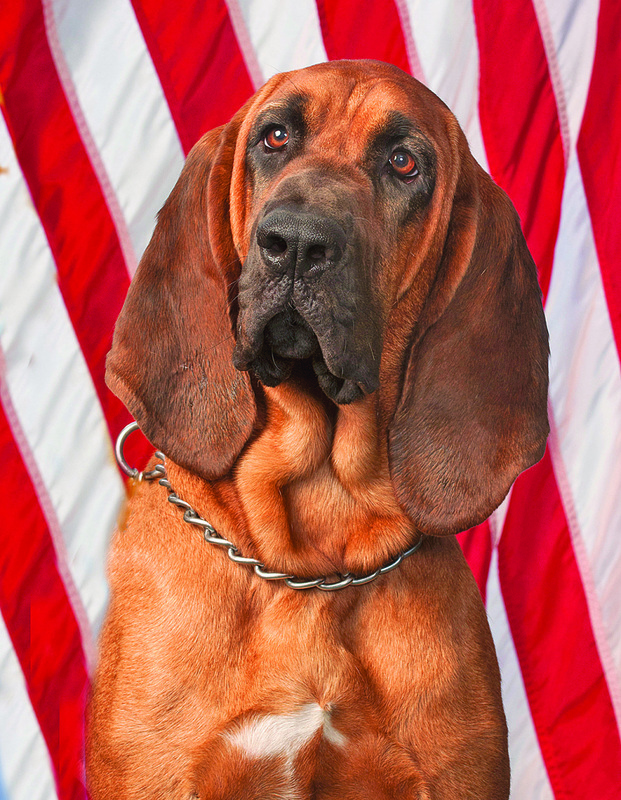 Bloodhound Georgia used her sense of smell to safely locate a missing 83-year-old Cannon County man clinging to two small trees in a dense hilly area Friday off Doolittle Road, a Rutherford County Sheriff's lieutenant said. Rutherford County Deputy Michael Romans and his K-9 partner, Georgia, were joined by Rutherford County's Active Crime Enforcement Unit deputies and Cannon County Sheriff Darrell Young and his deputies in locating the man within 15 minutes of starting the track, said ACE Lt. Kenneth Barrett. He had been missing about two hours. The bloodhound and deputies feared the man might have fallen down the steep hill and suffered injuries. They wanted to find him before the temperature rose. "After a short track, the man was located approximately 100 yards down a very steep and thick hill," Lt. Barrett said. "When we found him, he was latched onto two trees." The man's wife and daughter were relieved he was rescued. "It was nice to see them when we brought him out of the woods," Lt. Barrett said. "That makes the job worthwhile."